From Middle English nature, natur, borrowed from Old French nature, from Latin nātūra (“birth, origin, natural constitution or quality”), future participle from perfect passive participle (g)natus (“born”), from deponent verb (g)nasci (“to be born, originate”) + future participle suffix -urus. Displaced native Middle English cunde, icunde (“nature, property, type, genus, character”) (from Old English ġecynd), Middle English lund (“nature, disposition”) (from Old Norse lund), Middle English burthe (“nature, birth, nation”) (from Old English ġebyrd and Old Norse *byrðr). More at kind. From Old French nature, borrowed from Latin nātūra. 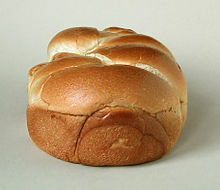 Une brioche nature ou sucrée ? File-moi un yaourt nature s’il te plait. “nature” in le Trésor de la langue française informatisé (The Digitized Treasury of the French Language). Borrowed from Old French nature, from Latin nātūra. From Old French nature, from Latin nātūra. “nātūr(e (n.)” in MED Online , Ann Arbor, Mich.: University of Michigan, 2007, retrieved 2018-04-02. Ne fu veüe an tot le monde.